Perhaps the most interesting observation of how Trump handles negotiations is that he approaches them as a businessman rather than a politician. He certainly does not play nicely or puts on the pretense that everything is wonderful in the land of politics. Indeed, NATO officials were on edge and nervously welcomed President Trump who arrived in Brussels on Tuesday night. They were afraid he would behave “badly” over the two-day meeting. Normally, NATO summits are fixed in advance and proceed in an orderly fashion to create the image that everyone is in solidarity. This summit began strikingly differently on a most divisive footing in NATO’s 69-year history. Will 72 years be its demise or reincarnation? 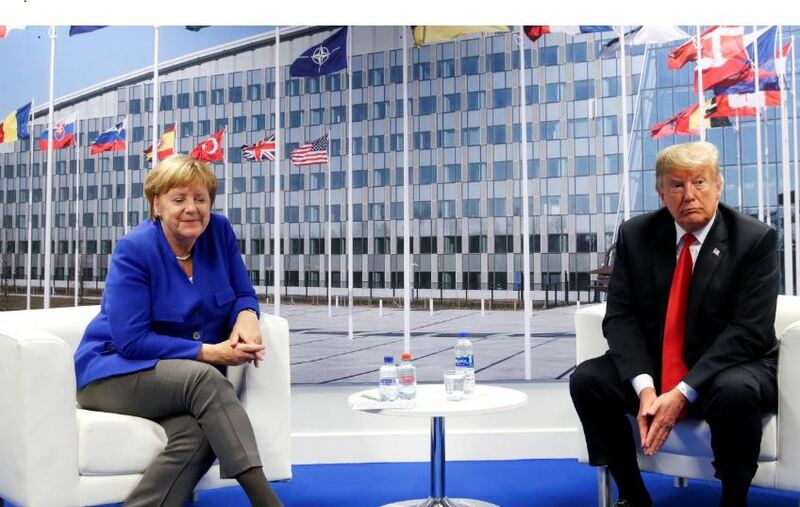 After things calmed down, Merkel herself, speaking through an interpreter, said that the meeting was an “opportunity to have an exchange about economic developments … and also the future of our trade relations.” Trump managed to convert the normally separate NATO boring meeting and linked it to trade. Of course, the American press will not report the real tactics going on. They are too busy trying to impeach him.